We first caught a glimpse of the Alpina-tuned BMW 7 Series bi-turbo at the Geneva Motor Show, when we were told it was capable of 193mph. But some further tweaks by the German tuning house now mean the 4.4-litre V8 is capable of pushing past that magical 200mph mark. Its top speed now stands at 205mph, which the manufacturer claims makes it the fastest four-door production car available today. Just to give you an idea of how quick that we’re talking – Alfa’s Giulia QV manages 190mph while Jaguar’s monstrous XE Project 8 can just about eek out 200mph. Famed for its tuning, the Bavarian brand Alpina has been working with BMW for more than 50 years, and the B7 is its latest attempt at taking on the supercars. But how exactly has it done it? 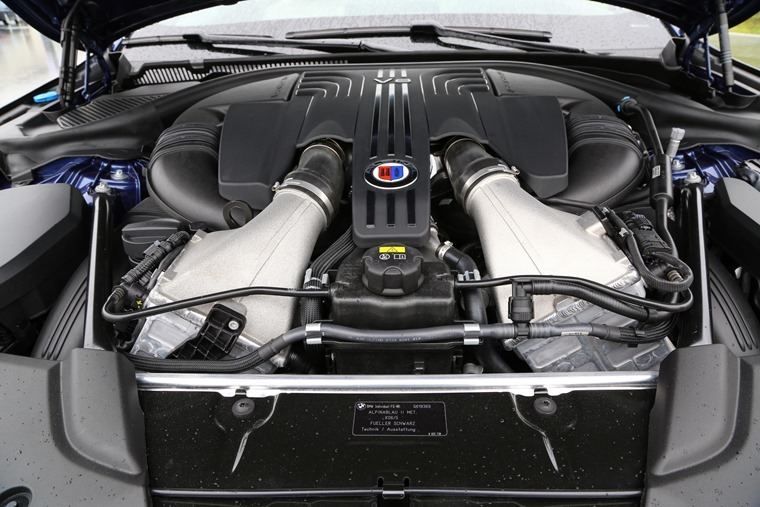 Well that bi-turbo V8 now pumps out 600bhp (rather than 192 on the Geneva car) and 800Nm of torque. 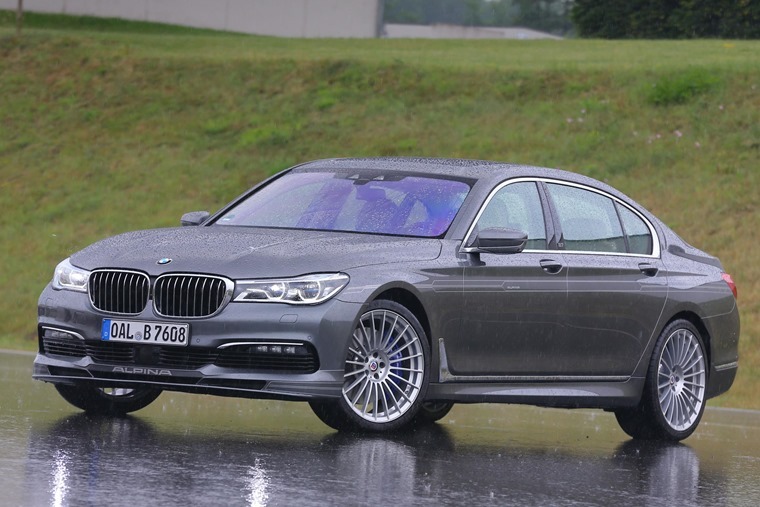 The result is a two-tonne luxury saloon car that’s faster than a McLaren 570S and a 0-62mph time of 3.6 seconds. It uses an eight-speed automatic gearbox and is available with all-wheel drive, but sources say that in the UK the B7 will be available in rear-wheel drive form only. It gets uprated brakes too, along with slick Michelin Super Sport tyres and an active rear steering system. So it’s not all about straight line speed then, with Alpina’s chassis specialists calibrating each car individually to make sure that each car has what it calls a “magical” blend of ride quality and handling. There’s an air suspension system too, which raises and lowers the ride height according to speed, but of course whoever is lucky enough to be luxuriating in the back won’t even notice. 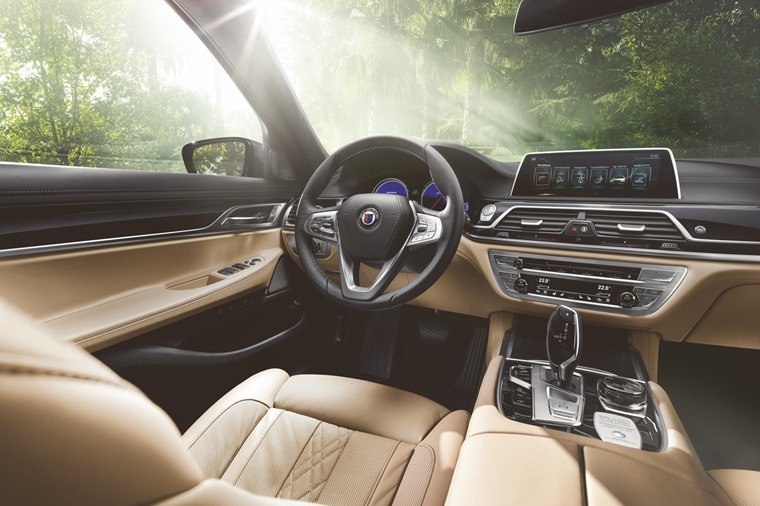 All the usual 7 Series refinements are present, with an interior that can be specified with an “almost limitless” range of options, trims and leather upholstery. UK cars get a complete leather interior, soft-close doors, a full-colour Head-Up display and a rear view camera. The interior may be appropriately opulent, but what we really like about the B7 is the fact that from the outside at least, it looks largely like any other 7 Series. There’s 20in Alpina-specific alloys and a unique set of front and rear bumpers, but for the most part this is a true “q-car”. It’s available to order now, but if you fancy yourself in this supercar-beating saloon it’ll cost a cool £115,000, and only very limited numbers will make it to UK shores. You can lease a B7 though, you can check out the very best deals here. 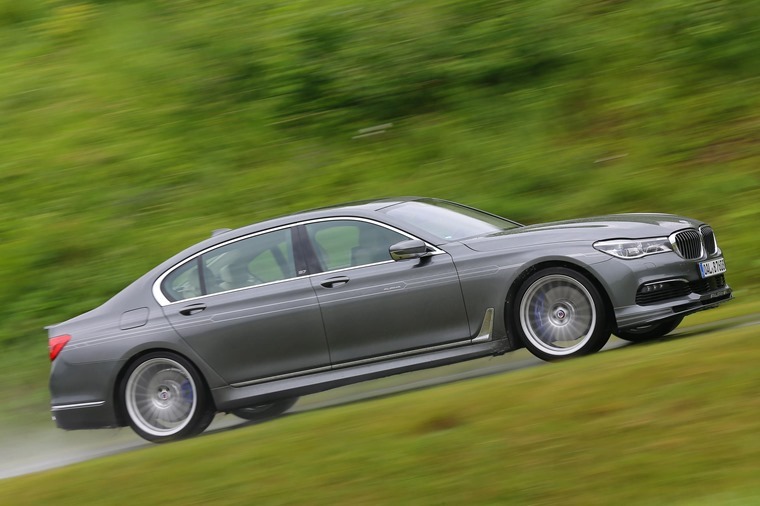 However, if you’re after a more sedate 7 Series we can help too. 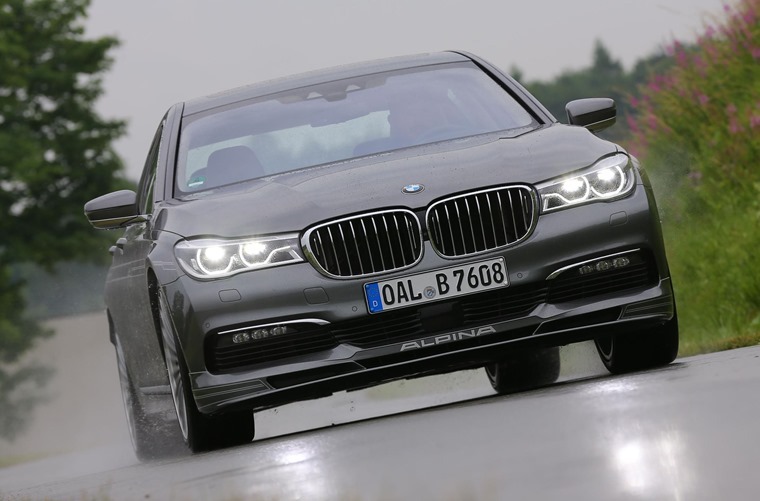 Check out our video review of the 730d, or find 7 Series deals here.